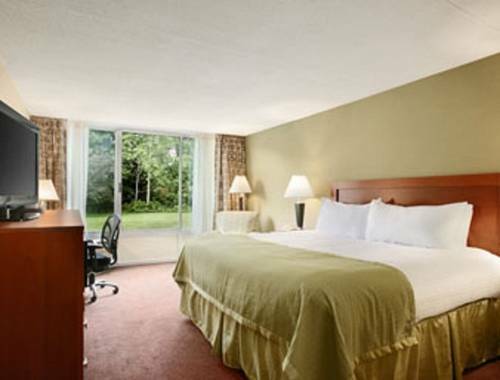 Visit us at Ramada Ellsworth the gateway to Acadia National Park and Bar Harbor located only 18 miles away. Ellsworth offers a variety of things to do from hiking trails, golfing, theaters historical sights and much more. Explore historic downtown Ellsworth and its unique shopping and dining experience. LL Bean Outlet is within walking distance from the property along with various other things of interest. The Oceanarium is only a mere 13 miles away and great for families to enjoy. We are located 25 miles from the Bangor International Airport and only 9 miles from the Hancock County-Bar Harbor Airport. Enjoy yourself in our indoor pool - largest in Ellsworth - or use our fitness and sauna facilities Hot tub and Jacuzzi. We have 2 indoor tennis courts as well for the tennis enthusiast. Property offers free continental breakfast.